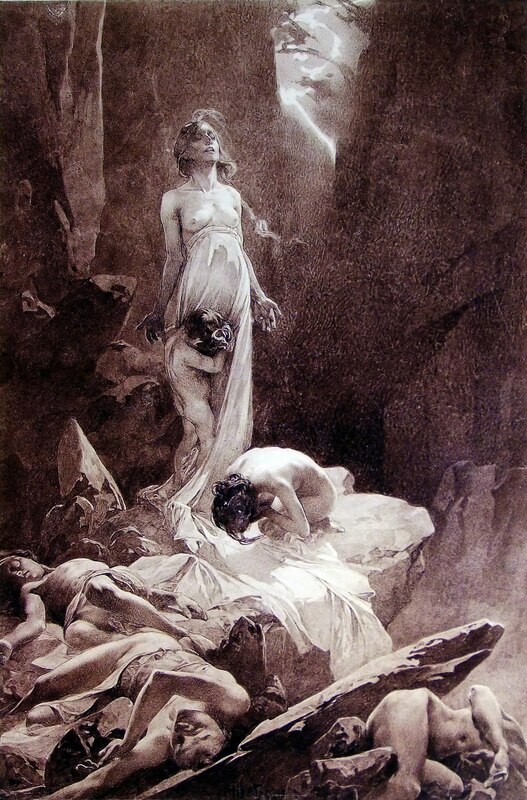 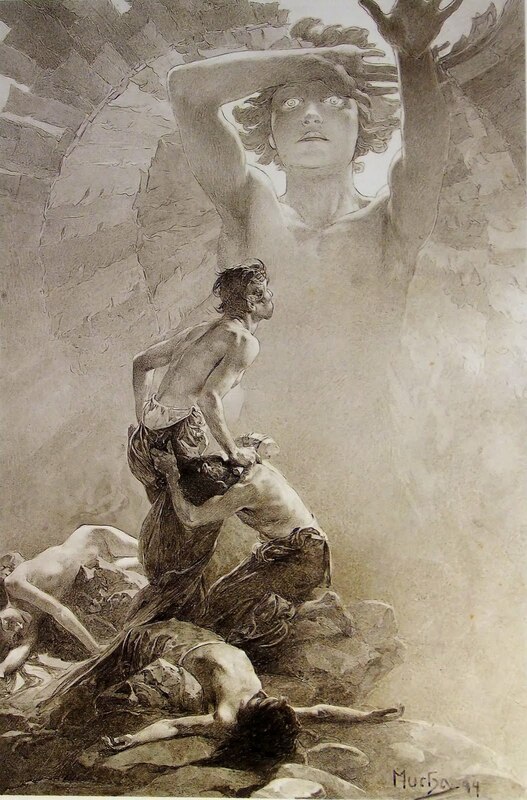 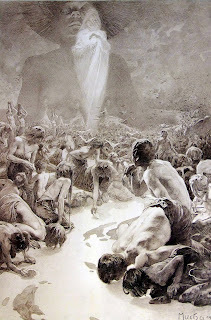 There is also a Part II to this post that you should look at, with images of details that you will not have seen, taken directly from the first press of Le Pater by Alphonse Mucha. 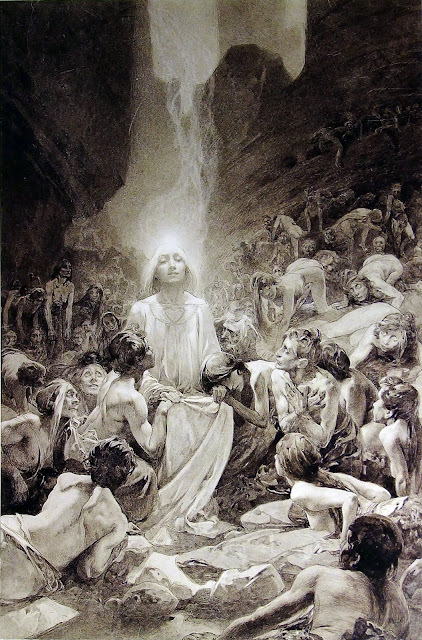 "Mucha considered Le Pater his printed masterpiece, and referred to it in the January 5, 1900 issue of The Sun Newspaper (New York) as the thing he had "put [his] soul into". Printed on December 20, 1899, Le Pater was Mucha's occult examination of the themes of The Lord's Prayer and only 510 copies were produced." 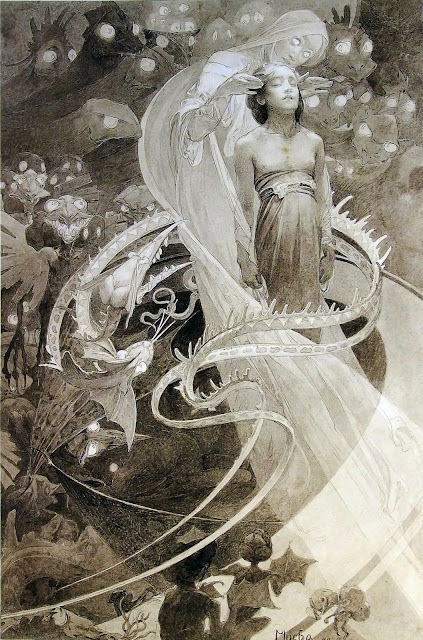 When I see these images I immediately think of Jess and his collages. Don't forget his papier mache. 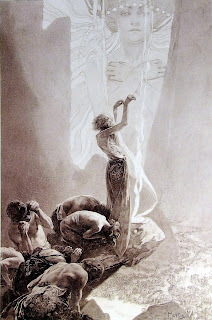 The Le Pater artwork is beautiful,one of mucha's best works!